Mercy Dickenson guides her friend John’s fingers gently over the letters, each bump on the crisp, white page weaving its story and transporting the reader into another world. 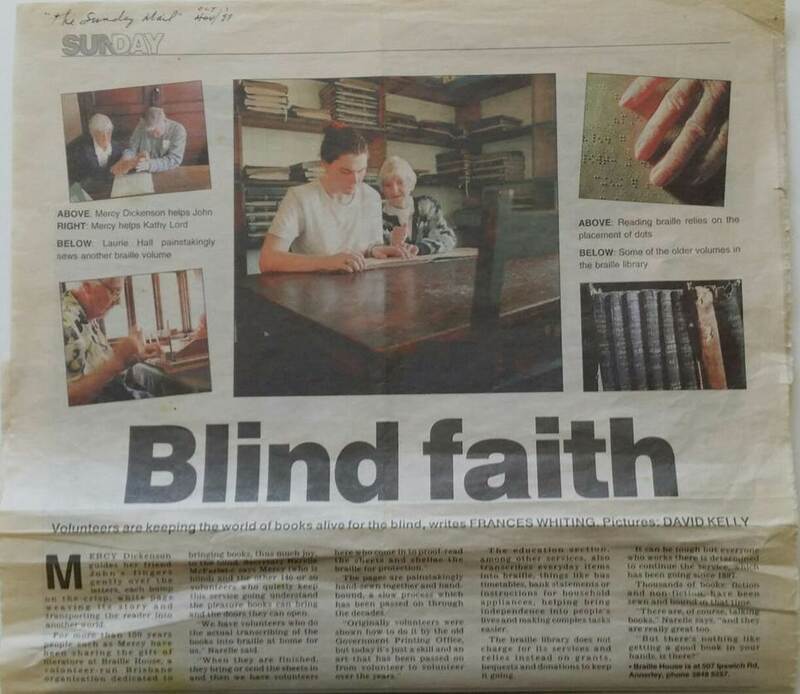 For more than 100 years people such as Mercy have been sharing the gift of literature at Braille House, a volunteer-run Brisbane organisation dedicated to bringing books, thus much joy, to the blind. Secretary Narelle McFarlane says Mercy (who is blind) and the other 140 or so volunteers who quietly keep this service going understand the pleasure books can bring and the doors they can open. 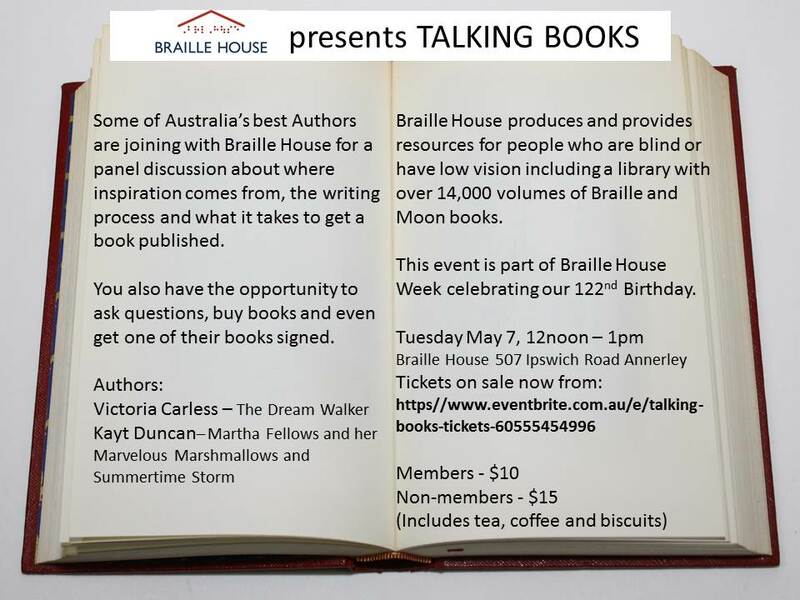 “We have volunteers who do the actual transcribing of the books into braille at home for us,” Narelle said. The pages are painstakingly hand-sewn together and hand-bound, a slow process which has been passed on through the decades. The education section, among other services, also transcribes everyday items into braille, things like bus timetables, bank statements or instructions for household appliances, helping bring independence into people’s lives and making complex tasks easier. The braille library does not charge for its services and relies instead on grants, bequests and donations to keep it going. It can be tough but everyone who works there is determined to continue the service, which has been going since 1897. Thousands of books, fiction and non-fiction, have been sewn and bound in that time. 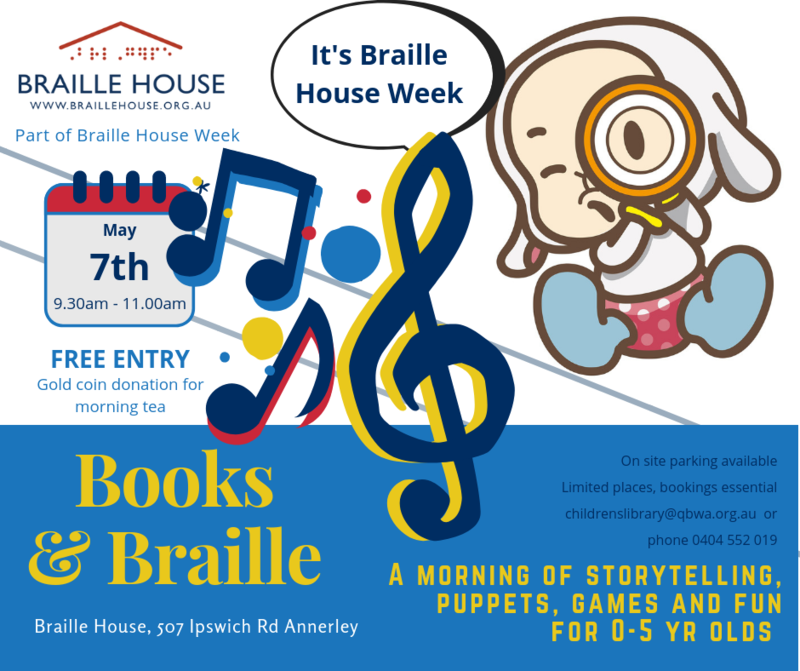 Braille House is located at 507 Ipswich Rd, Annerley. Telephone (07) 3848 5257.